Pressure injuries occur in persons who are mostly bed or chair bound, or demonstrate limited movement. Treatment and prevention require the work of a dedicated team, including RDs, who play a vital role in ensuring patients receive proper nutrition and hydration, each of which significantly can affect prevention efforts and the healing process. Over the last few years, there have been several developments regarding pressure injuries. In 2016, the National Pressure Ulcer Advisory Panel (NPUAP) replaced the term "pressure ulcer" with "pressure injury. "7 This revised terminology more accurately describes injuries to both intact and ulcerated skin. In addition, updates were made to the definitions and terminology of pressure injury stages, which included a change from Roman numerals to Arabic numerals and updated drawings. The modifications are an attempt to make terminology and concepts more universal and globally standardized. The next NPUAP guidelines, which are projected to be published in August 2019, are a collaborative effort with the European Pressure Ulcer Advisory Panel and the Pan Pacific Pressure Injury Alliance. The guidelines, which will include input from professionals from Japan, Italy, the Netherlands, and Thailand, will be translated into at least 11 different languages and feature updated nutrition information from an international pool of research. Even with these global efforts, strong research regarding nutrition interventions for pressure injuries are lacking. 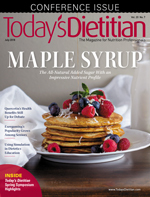 "It's expensive to do randomized trials, especially in nutrition," says Mary Ellen Posthauer, RDN, CD, LD, FAND, president of MEP Healthcare Dietary Services and a past president and director of the NPUAP who's currently on the editorial advisory boards of Advances in Skin and Wound Care and Nutrition411. "A grade C is the lowest grade research but still shows there's evidence available. A lot of the guidelines are a grade C simply because there isn't strong research." Becky Dorner, RDN, LD, FAND, founder and president of Nutrition Consulting Services, Inc, and Becky Dorner & Associates, Inc, who specializes in treating the elderly population and pressure injuries, agrees. "That's been the biggest challenge for us, that there aren't enough randomized clinical controlled trials that focus on the areas of nutrition," she says. "They are very expensive, so they are few and far between." While weight loss is easy to determine, malnutrition may be more difficult to pinpoint. Neither the Academy of Nutrition and Dietetics (the Academy) nor the American Society for Parenteral and Enteral Nutrition recommend using inflammatory biomarkers such as albumin and prealbumin to determine malnutrition. Instead, an etiology-based approach is preferred to relying solely on lab values. This requires the identification of at least two of the following six indicators to make a malnutrition diagnosis: insufficient energy intake, weight loss, loss of muscle mass, loss of subcutaneous fat, fluid accumulation, and diminished functional status. But even though dietitians shouldn't rely solely on labs to determine malnutrition, it's still important to consider all lab values, as they may shed light on other factors that can impact pressure injuries and skin integrity, such as blood glucose levels in patients with diabetes. Nancy Munoz, DCN, MHA, RDN, FAND, a director on the NPUAP board, applies the same principle in her own practice regarding lab values. "There is no specific lab I hang my hat on when dealing with pressure injuries, but I still look at all of them because they will tell you different things that can help you see the full picture," she says. Adequate energy intake should be the top priority in individuals who have pressure injuries or may be at risk of pressure injuries, especially malnourished or underweight patients.5 The source of calories also is important; most calories should come from carbohydrates and fats to prevent the body from deriving energy from proteins or amino acids, which should be used for collagen synthesis and skin healing instead. If overall calorie needs are being met, the body will take energy from carbohydrate and fat first, leaving the proteins and amino acids to be used for healing. Protein, which promotes wound healing by supporting the synthesis of collagen, enzymes, and connective tissue, encourages a positive nitrogen balance. An increased protein intake has been associated with improved healing rates. While the general recommendation for protein intake is 0.8 g/kg of body weight per day, this may not be adequate for individuals with pressure injuries, especially elderly patients who may be experiencing sarcopenia, or loss of lean muscle mass.5 The NPUAP recommends a protein intake of 1.25 to 1.5 g/kg of body weight per day. In some cases of severe pressure injury, such as stage 3 or stage 4, needs may increase to up to 2 g/kg of body weight per day. Two studies found significant increases in the healing process and a downsize in wound area after supplementing arginine in doses ranging from 6 to 9 g daily for several weeks. Another study found improvements with supplementation of 18 g arginine daily, but results weren't statistically significant. Although the research is promising, further studies must be conducted to make tangible recommendations. Several vitamins and minerals, including vitamin C, zinc, and copper, are associated with collagen formation and skin health.5 Deficiencies in any three of these can lead to delayed healing of pressure injuries. However, there's little evidence to support supplementation of these vitamins and minerals beyond the recommended daily intake. Supplementation of all vitamins and minerals through fortified foods or a multivitamin is recommended when the patient is deficient. The NPUAP agrees with European guidelines that recommend starting patients at 1 mL water per kg of body weight, adjusting for individual conditions.5 Patients with significantly increased protein intake may have fluid needs that exceed this recommendation. As more research supports the importance of nutrition for pressure injuries, additional emphasis is placed on the role of the dietitian, a change that should be embraced and encouraged. Dietitians should stay abreast of new developments and share them with their health care team to promote the best care for patients with pressure injuries. "Nutrition is gaining momentum in the wound healing world. However, battling old theories and practices against doctors and nurses is a difficult task for RDs," says Tami Pruitt, MS, RD, NWCC, the first dietitian in the United States to be certified in wound care by the National Alliance of Wound Care and Ostomy. "We are vital, not only to treatment but to prevention as well." 1. Khor HM, Tan J, Saedon NI, et al. Determinants of mortality among older adults with pressure ulcers. Arch Gerontol Geriatr. 2014;59(3):536-541. 2. Preventing pressure ulcers in hospitals. Agency for Healthcare Research and Quality website. https://www.ahrq.gov/professionals/systems/hospital/pressureulcertoolkit/putool1.html. Updated October 2014. Accessed May 2, 2018. 3. Pressure ulcers: overview. PubMed Health website. https://www.ncbi.nlm.nih.gov/pubmedhealth/PMH0079403/. Updated September 23, 2015. Accessed May 2, 2018. 4. Bedsores. Johns Hopkins Medicine website. https://www.hopkinsmedicine.org/healthlibrary/conditions/dermatology/bedsores_85,P00260. Accessed May 2, 2018. 5. Posthauer ME, Banks M, Dorner B, Schols JM. The role of nutrition for pressure ulcer management: National Pressure Ulcer Advisory Panel, European Pressure Ulcer Advisory Panel, and Pan Pacific Pressure Injury Alliance white paper. Adv Skin Wound Care. 2015;28(4):175-188. 6. National Pressure Ulcer Advisory Panel. Pressure injury prevention points. http://www.npuap.org/wp-content/uploads/2016/04/Pressure-Injury-Prevention-Points-2016.pdf. Accessed May 2, 2018. 7. National Pressure Ulcer Advisory Panel (NPUAP) announces a change in terminology from pressure ulcer to pressure injury and updates the stages of pressure injury. National Pressure Ulcer Advisory Panel website. http://www.npuap.org/national-pressure-ulcer-advisory-panel-npuap-announces-a-change-in-terminology-from-pressure-ulcer-to-pressure-injury-and-updates-the-stages-of-pressure-injury/. Published April 13, 2016. Accessed May 2, 2018. 8. Collins N. Helping wounds heal with amino acids. Wound Care Education Institute Blog website. http://blog.wcei.net/2018/04/amino-acids-and-wound-healing?utm_source=NWCC_Campaign_Did%20Not%20View%20Webinar_20180505&utm_campaign=NWCC%20Webinar%20Follow-Up%20Did%20Not%20View&utm_medium=email. Published April 7, 2018. Accessed May 2, 2018. 9. Glutamine. WebMD website. https://www.webmd.com/vitamins/ai/ingredientmono-878/glutamine. Accessed May 2, 2018. 10. New 2014 prevention and treatment of pressure ulcers: clinical practice guideline. National Pressure Ulcer Advisory Panel website. http://www.npuap.org/resources/educational-and-clinical-resources/prevention-and-treatment-of-pressure-ulcers-clinical-practice-guideline/. Published 2014. Accessed May 2, 2018.